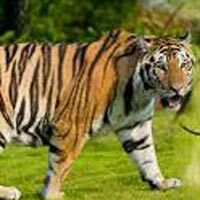 Named after the acclaimed seeker, creator and protectionist Jim Corbett, the Corbett National Park is one of the finest tiger living spaces in India. Settled at the foothills of the Himalayas in Uttarakhand, the recreation center reaches out over a tract of 520 square kilometers. It is a substantial valley with forested edges going through it. The Ramganga stream winds through its whole length, and thick Sal and deciduous woods cover the recreation center territory. Guests are permitted in from mid-November to mid-June. Visit to Garhmukteshwar, one of the famous pilgrimage place for Hindus. Visit to Garjiya Mata Temple. Visit to Corbett Museum, where you get information about Corbett national parkAny other expenses not mentioned under includes items. Morning drive to Corbett National Park, Drive past to "Garhmukteshwar" one of the famous pilgrimage place for Hindus. Pilgrims from nearby places come here to take a bath in Holy Ganges. On arrival at Corbett, check in at wildlife resort. Lunch will be served at wildlife Resort. After lunch we will take you to "Corbett Fall" a scenic place near Corbett. Drive back to hotel. 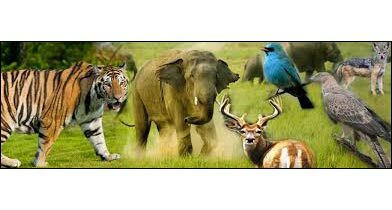 Enjoy recreational activities at hotel, followed by Wildlife movie and Dinner. Over Night stay at Wildlife Resort.